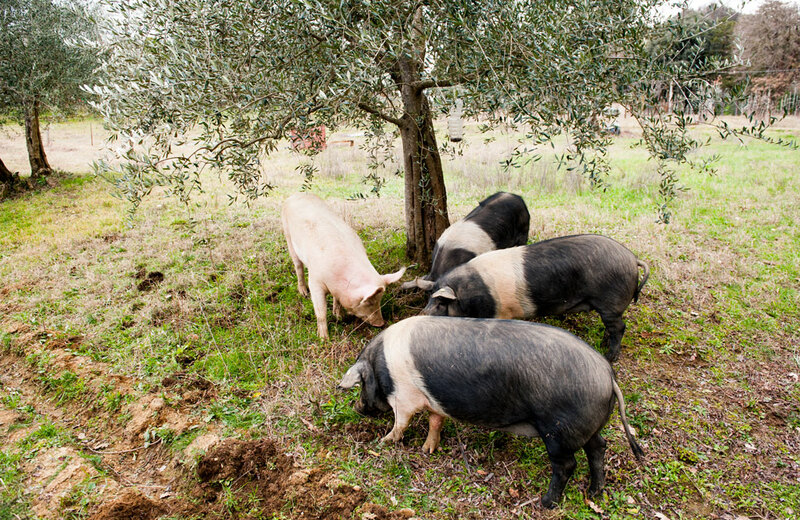 In Montepulciano, next to the Sanctuary of the Madonna della Querce, there is our farm where we cattle breed our Cinta Senese pigs in a semi-wild state, we have a small vineyard and an olive grove. We produce and sell Cinta Senese salami, extra virgin olive oil and vegetables from our garden on the farm. Our farm lends itself to tours with the possibility of seeing and interacting with our animals, as well as picnics or tastings of our products. Among our trees, some centuries old, you can see wonderful views, including Montepulciano and Valdichiana.